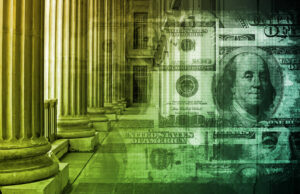 Home » Financial News » Is Subprime Lending Making a Comeback? 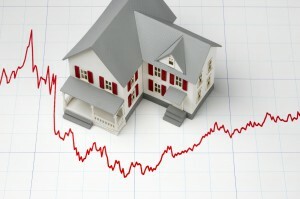 It is hard to forget the housing market fiasco that threw the economy into a recession in 2007. Some lenders were qualifying people who clearly couldn’t afford a mortgage, and of course borrowers were accepting these loans because a huge part of the American dream is tied to homeownership. These actions and practices together resulted in close to 4 million families losing their homes between 2007 and 2012. Today however, the landscape as chronicled in this study by Equifax is changing – and the results are both good and bad. The good news is that homeowners are managing and paying down their mortgage debt and averting foreclosures and delinquencies. As homeowners make strides in paying down debt, lenders are loosening their lending strings and extending loans to subprime consumers – again. While this may seem like good news, is it really? Or are we just repeating the history that led to the market collapse? Equifax defines subprime borrowers as those with a credit score below 640 out of a possible 850.Yet, according to the report, the total number of new home equity lines of credit (HELOC) to consumers with a score below 620 increased by 36 percent from 2014, to a total credit limit of $49.3 million. Around the same time last year, HELOC increased the percentage of home equity lines of credit to subprime borrowers from 1.3 percent to 1.5 percent. In January they handed out loans to the tune of $9.5 billion – a seven year high and an increase of 26.9 percent. Comparing year over year, HELOC increased its loan origination by more than 20 percent and originated more that 88,000 new accounts. The average credit limit of these loans is $108,010, a 5.7 percent increase from same time a year ago. With subprime lending making a comeback; it’s only natural to have the kneejerk reaction – Wait! Didn’t subprime lending contribute to the housing market bust of 2007? In the wake of the crash, homeowners struggled to keep up with their mortgage payments and the “new normal” was the foreclosure signs that decorated many street corners and neighborhoods around the country. At the same time prospective buyers with less than perfect credit scores were forced to stay out of the market, because lenders had tightened their lending strings. 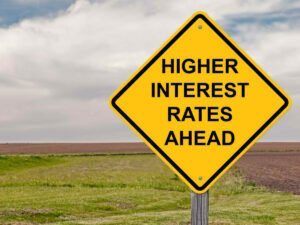 Today, while borrowers may revel in the prospects of owning a home, the interest rate on loans to people with shoddy credit scores usually are much higher than the standard-rate loans, and may lead to higher monthly payments. To the savvy money manager these offers are not attractive and spell trouble. Subprime borrowers have less than perfect credit scores and are viewed as being at greater risk of default. If this predatory lending persists, history may repeat itself. 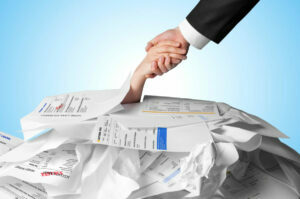 To save yourself and the economy, it is important to exercise good personal financial management. A good place to begin the process of homeownership is by attending one of Consolidated Credit’s First Time Homebuyer Workshops. There you’ll learn how to own a home and manage your mortgage successfully. These workshops offer first-time homebuyer down payment assistance programs, mortgage payment assistance, closing cost assistance, tips on how to maintain your home, how to prevent foreclosure, how to apply for a mortgage, how to select the right realtor for your needs, how to select a good neighborhood, what to expect during the home inspection process, all the different types of insurance you may need and the tax benefits of being a homeowner. Consolidated Credit also offers guidance and assistance to those who are struggling to keep a roof over their head. Call 1-888-294-3130 to speak to a HUD approved housing counselor or request help by signing up online.